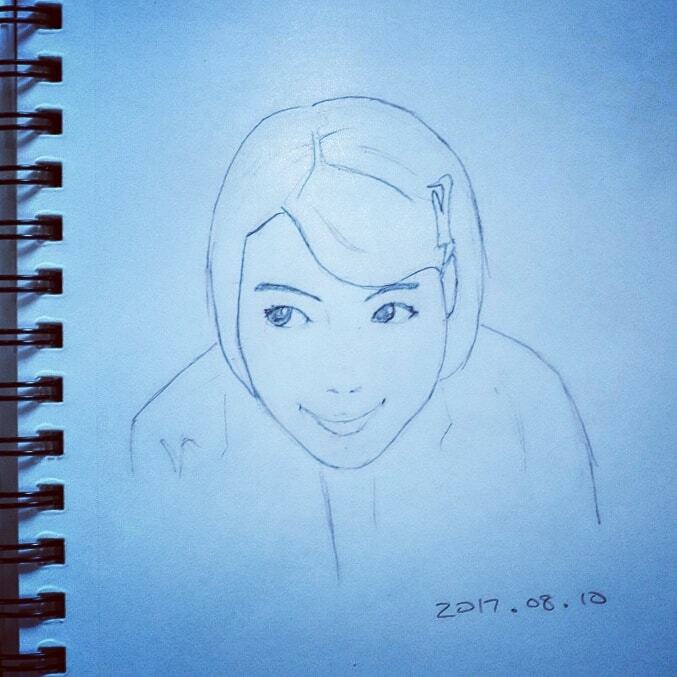 Here’s a sketch I did while looking at a photo of Japanese actress/model, Rina Nounen. The past few sketches have been portraits from straight ahead, so I wanted to draw a slightly different angle. I think I learned some of the differences in angles, such as ear placement and face shape. But I think I need a ton more practice. Luckily, even the practice is pretty fun!